An elegant regular sized Advent bulletin featuring an Advent wreath and a piano in the background. 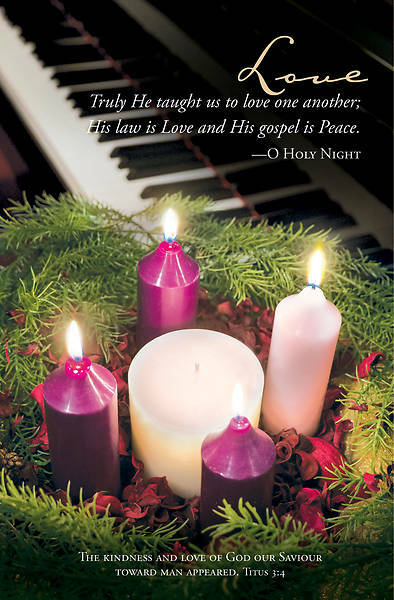 Text: Love - Truly He taught us to love one another; His law is Love and His gospel is Peace - O Holy Night. Bulletins arrive packaged flat 8.5" x 11" to fit into your printer or copier; shrink wrapped in packages of 100. Pre-Order This Title Order now, item will be available on 7/1/2019.